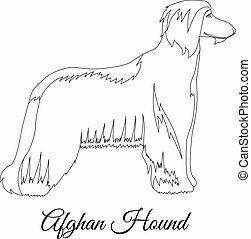 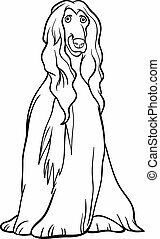 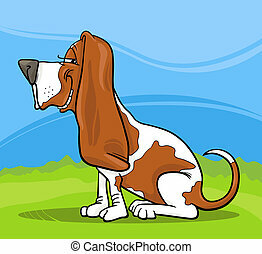 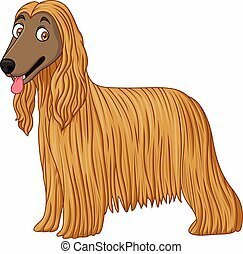 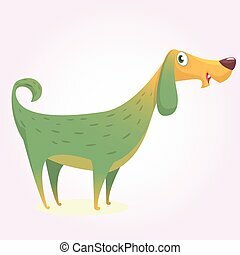 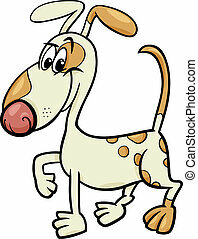 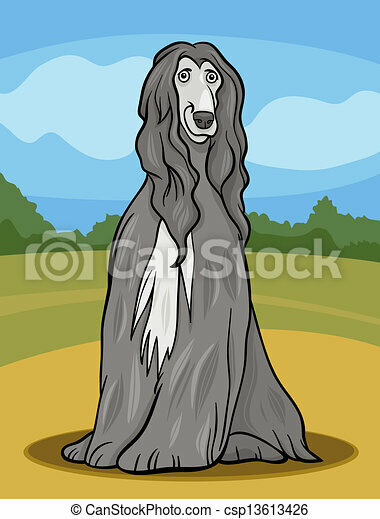 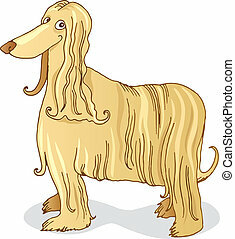 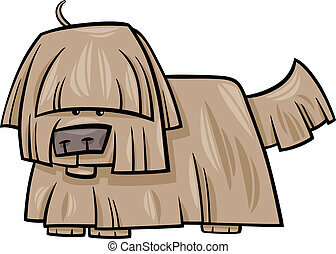 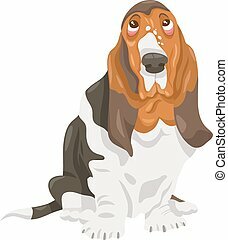 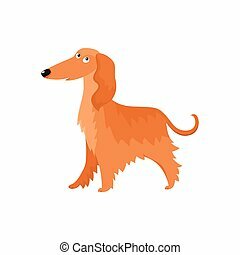 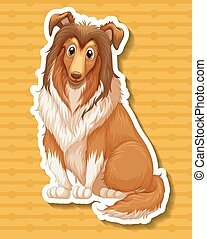 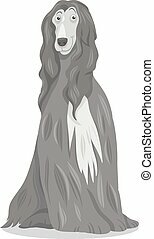 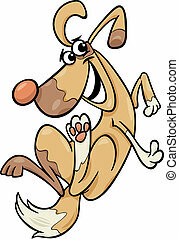 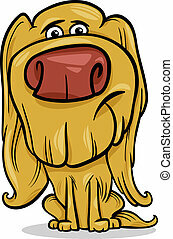 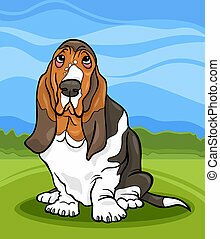 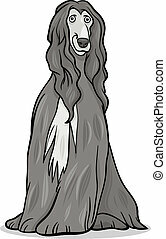 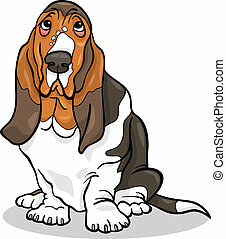 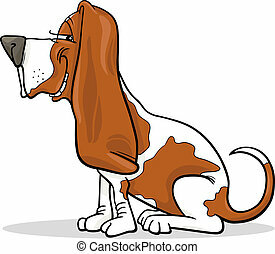 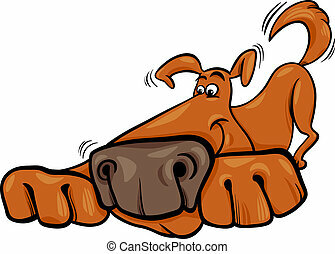 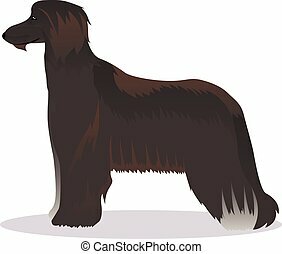 Afghan hound dog cartoon illustration. 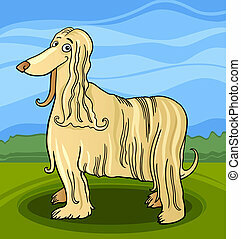 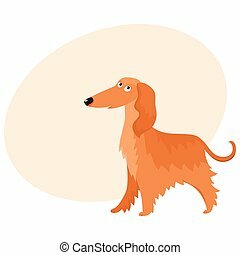 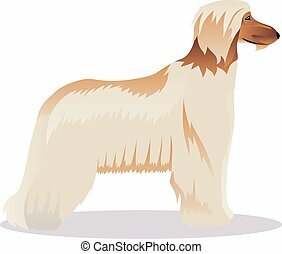 Cartoon illustration of cute afghan hound purebred dog and rural landscape. 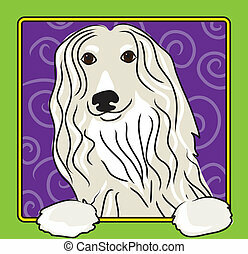 A cartoon image of an Afghan hound, created in the folk art tradition.